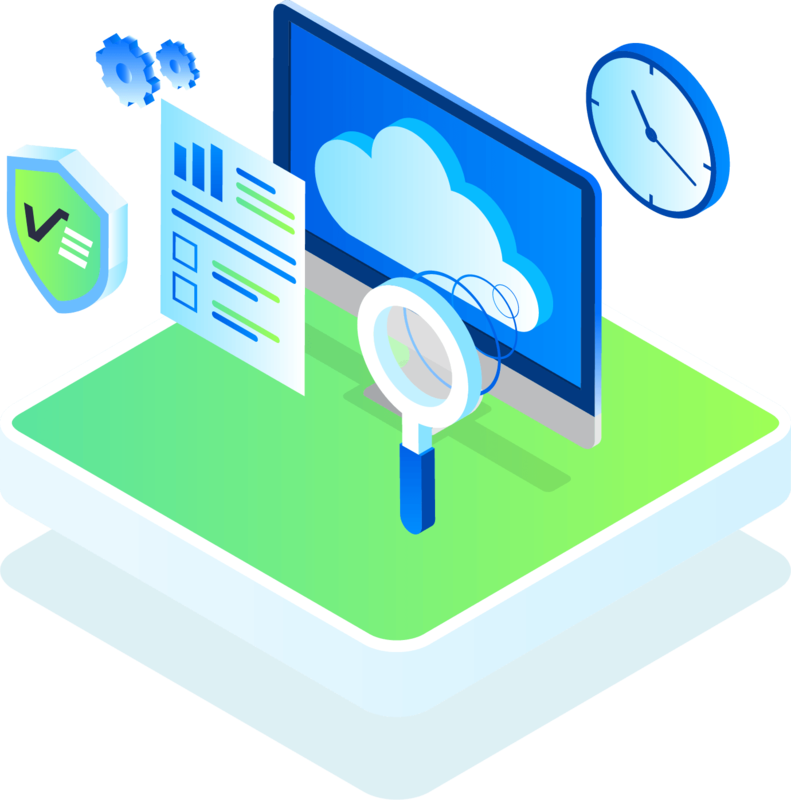 Venkon’s Cloud Security Monitoring service provides you with rapid detection, monitoring, investigation, and solution for a wide range of security risks on your Cloud IT assets. We help you to detect, identify, and neutralize all forms of security threats on your cloud-based applications and infrastructure. As more organizations move their information assets to the cloud, mainly because of its cost-effectiveness, ease of accessibility, and flexibility, security threats have also increased significantly. Using Cloud services makes your company data more vulnerable to security risks. It is therefore important to have real-time monitoring capable of detecting and neutralizing potential security threats on your Cloud applications and infrastructure. Cloud infrastructure and applications hosted on a Cloud platform are as prone to cyber threats as the solutions you have on-premise. You need to protect them from a constantly monitored centralized security platform. Our real-time Cloud security monitoring service gives you all the necessary analytics you need to protect your company’s sensitive data. We provide a Cloud security management platform that helps to enhance visibility, authentication, and access to your information assets on the Cloud, automatic alerts on any suspicious Cloud usage. You also get reports about access, modifications, and usage of data. Monitoring is an important part of your cloud management and security. You cannot rely on automated solutions all the time. You need cloud security monitoring to supervise servers for potential security threats. We help you to minimize and eliminate data security breaches on the cloud by constantly monitoring your Cloud-based applications and the entire infrastructure. What is Cloud security monitoring? More and more organizations are now moving their IT assets to the Cloud platform mainly because the Cloud is easy to access, cost-effective, and flexible. The increased use of Cloud storage has also resulted in a noticeable increase in security threats. Cloud services are great, but they also expose your organization’s data to more security risks. It is, therefore, critically important for a company with information assets in the Cloud to have real-time monitoring to detect and neutralize security risks targeting their Cloud applications and infrastructure. How does Venkon’s Cloud security monitoring help? Venkon’s Cloud security monitoring service is designed to detect, identify and neutralize security risks in the Cloud in real time. We provide you with the fastest rapid detection, investigation, and solution for every type of security risk on your information assets in the Cloud. We can detect, identify, and neutralize security threats on Cloud-based applications and infrastructure. Our Cloud security management platform is well equipped to enhance visibility, authenticate, and protect your IT assets on the Cloud against any form of attack. Why do I need Cloud security monitoring services? You need this service to prevent losses due to a cyber-attack. If you don’t monitor your important resources in the Cloud, then you are setting yourself up for a cyber-attack at any time. Constant monitoring is a critical part of your overall Cloud security and management duties. Automated solutions are good, but they cannot be relied upon to safeguard your Cloud assets at all times. Our Cloud security monitoring services will help you to minimize or completely eliminate security breaches on the Cloud by constantly keeping an eye on suspicious activities in the Cloud platform. What is the objective of your Cloud security monitoring service? The objective of this service is to constantly monitor, detect, and neutralize potential threats to your cloud-based assets before the damage is done. We provide 24/7 security monitoring to your applications in the Cloud to ensure that you are not surprised with a sudden attack when least prepared. In the end, we’ll help you to avoid significant losses that result from a successful cyber-attack. © 2019 Venkon, Corp. All Rights Reserved.